There are thousands of attorneys in southern California, but relatively few have handled the full breadth of crimes from both a defense counsel’s and a prosecutor’s perspective. Daryl Anthony has! He currently defends clients accused of all state and federal crimes. Daryl Anthony has successfully represented criminal defendants in Orange, Los Angeles, Riverside, San Bernardino and San Diego counties. He represents out-of-state clients accused of committing crimes while visiting California. In many cases the lawyer may appear for the client without the client ever having to personally appear in court. 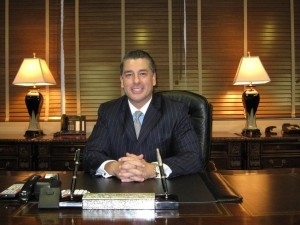 • I have tried numerous jury trials earning successful verdicts and results, including several acquittals in mandatory life charges and enhancements. • I have spared defendants from sexual registration requirements under California Penal Code section 290 and have had some registrants released of the duty to register after conviction. • I have both deflected and spearheaded investigations, managing many to a point where criminal charges were never filed or prosecuted by interested government agencies. • I have successfully negotiated for the disposition of thousands of cases over a twenty year career. I have earned “credit for time served” dispositions, day for day credit in residential drug and rehab programs in lieu of jail, private jail placements with work furlough release enabling offenders to keep their present employment, and secured home confinement and private ankle bracelet monitoring sentences for clients. • I have been responsible for terminating protective orders and defending domestic violence cases. • I have successfully argued to reduce felony convictions to misdemeanors pursuant to California Penal Code section 17(b) and have had numerous dismissal motions granted under Penal Code section 1203.4, commonly referred to as expungments or expunctions. • I have spared client’s drivers licenses and have had California drivers licenses returned via court proceedings and Department of Motor Vehicle hearings. • I have had outstanding warrants recalled and quashed. • I have successfully argued to terminate probation early and have had probation violations revoked and reinstated with no additional punishment. I have modified probation terms previously imposed. • I have defended child dependency cases, resulting in allegations of abuse and neglect being dismissed with children returned to parental custody. • I have appeared in court FOR clients so the clients never had to personally appear. This is especially important in today’s world where defendants may not have legal status in the country and fear arrest and/or deportation. 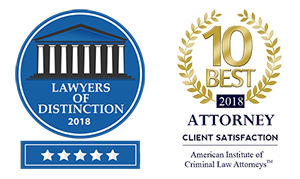 • I have developed a network of professional associates designed to help with many different aspects of successful criminal defense. • I have counseled and listened to thousands of people, helping many.